Studies show that ovulating on the later side can increase your chances of having a miscarriage. From a Chinese medicine perspective, there’s a few different reasons you may be ovulating later or irregularly. If you’re not ovulating on time, or ovulating irregularly, watch this video to learn what may be the cause and whether you need to address it. Are you wondering if you are ovulating too late in your cycle? Maybe you're wondering, how late is too late and what effect does late ovulation have on your chances of getting pregnant? Well, you should be ovulating around day 14 of your cycle. Not much earlier than that and not too much later. If you're ovulating earlier than day 14 then your cycle, then your egg is maturing too quickly. If you are ovulating later than day 14 of your cycle, one or two days isn't really a big deal. But if you're ovulating, say five days later than that like around day 19 or day 21 or even later than that, then that's going to be an issue. The later you ovulate, studies show that there's an increase in the chances of miscarriage. That's because when you're ovulating on the later side, this is gonna affect the health of the egg. It shouldn't take your egg more than 14 days to mature and be ready for ovulation. If it's taking longer than that then the growth of the egg can be stunted. Also, from a Chinese medicine perspective, late ovulation can be a result of stuck energy and blood flow. It can be a result of hormonal irregularities or nutritional deficiencies. If you're having stuck energy and blood, and there isn't good circulation to your ovaries, then that's gonna effect the ability of the ovaries to mature the egg for ovulation. The growth of that egg will be stunted. It's gonna start and stop so that can cause some irregularities, as well, with the actual egg. That it's not viable by the time it ovulates. It's not a nice healthy egg ready for fertilization. The hormones really support that process so if the hormones are irregular then it's gonna take awhile for the egg to mature and be ready for ovulation. That can affect how healthy that egg is. If there's some nutritional deficiencies, then the egg's not being exposed to the right environment. Getting the nutrients it needs to develop into a healthy viable egg for fertilization. This is why, in my online program Fertility Activation Method, I have such a strong focus on having a healthy cycle. This is such an important part of your cycle so that you can successfully have a fertilized egg that will be a viable pregnancy and won't be more likely to miscarry because the egg is actually healthy. In my program Fertility Activation Method, it's a four step method for getting pregnant in easier, healthier, more affordable way. 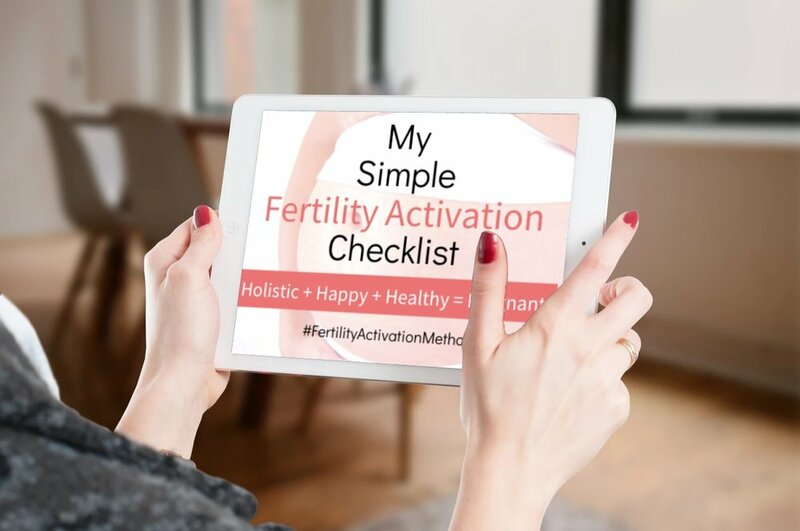 One of the main focuses is to make sure each step of your cycle, so there's your period, and then there's pre-ovulation, ovulation, and post-ovulation. Each step of your cycle has to be healthy so that you can have a healthy viable pregnancy. Now you can understand why the pre-ovulation phase, the follicular phase, is such an important phase to make sure that you're having a healthy egg. That's maturing and ovulating on time so that it can turn into a healthy viable pregnancy. The pressure point protocols in my program, Fertility Activation Method, are focused on moving energy and blood during that follicular phase, nourishing the egg, and balancing hormones so that your egg can mature and ovulate on time. If you want to learn more about my four step method for getting pregnant, then you can sign up for my Master Class here. In my free Master Class, you're gonna also learn the three biggest mistakes women make that keep them from getting pregnant now. My number fertility secret for getting pregnant without IVF or drugs. Feel free to sign up for the Master Class here.